JKS_cri_j[장근석의 든든한 빽! 장어들의 스위치 응원 이벤트] 오늘 아침 일찍부터 '근짱코뮤'에서 커피차를 서포트 하였습니다! 한잔...두잔...세잔...장어카페에서 한숨 돌리시고 촬영하세요!! English translation: [Jang Keun Suk's reassuring the Supporters! 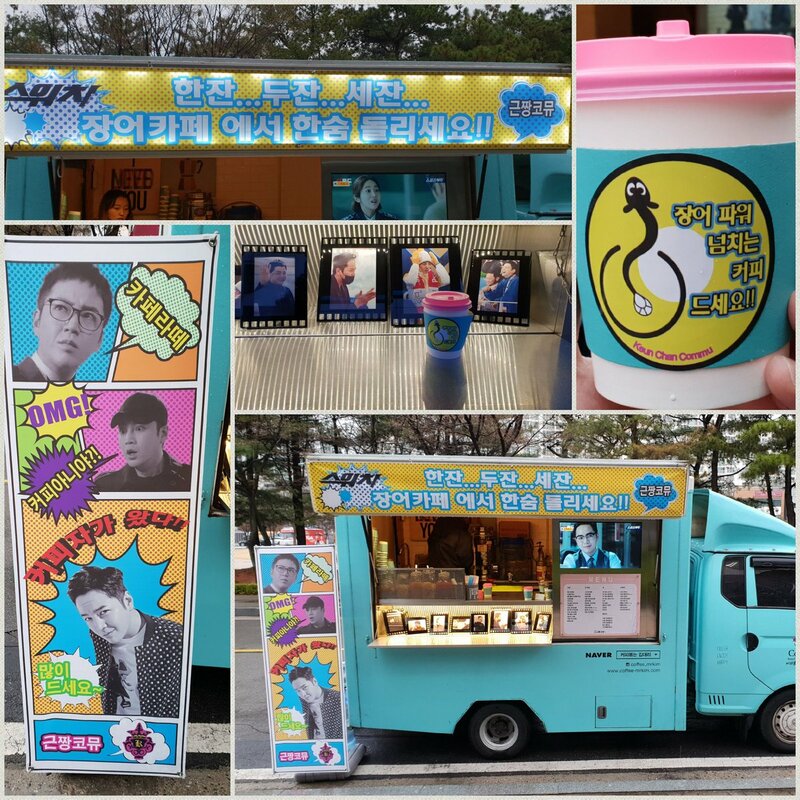 Eels' Switch support event] From early this morning, coffee truck was supported by 'Geun-chan Community'! One cup ... two cups ... three cups ... Take a breath with eels' coffee and keep working hard on filming!